I stopped dead in my tracks when I saw these last night. 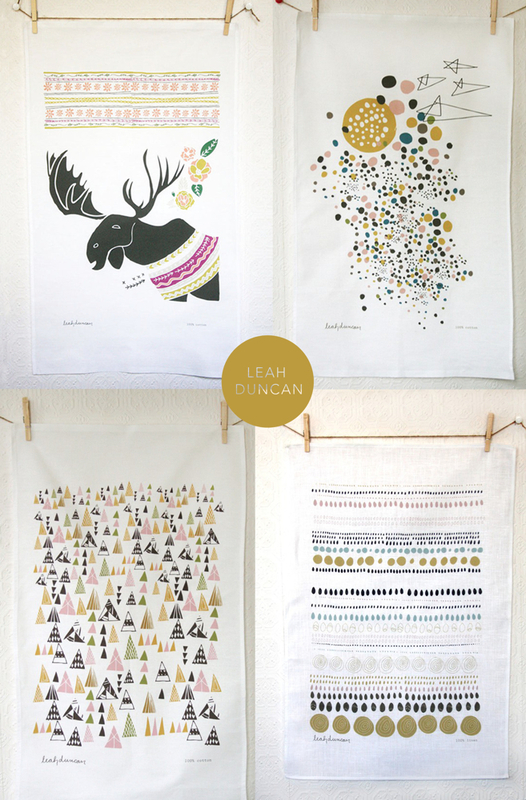 I’ve been looking for cool artwork for our house and stumbled upon these gorgeous tea towels by Leah Duncan. I may or may not have bought all four of these (I did) and at least two of them may or may not be gifts for a very special someone (they will). I can’t see myself actually using these… but they’d make lovely distractions to ponder upon above my desk at home. See more of Leah Duncan’s fun designs here. xoxo! ← Lately, I’ve been feeling…..
Oh man. I love Leah Duncan! Definitely one of my favorites!